Hello! 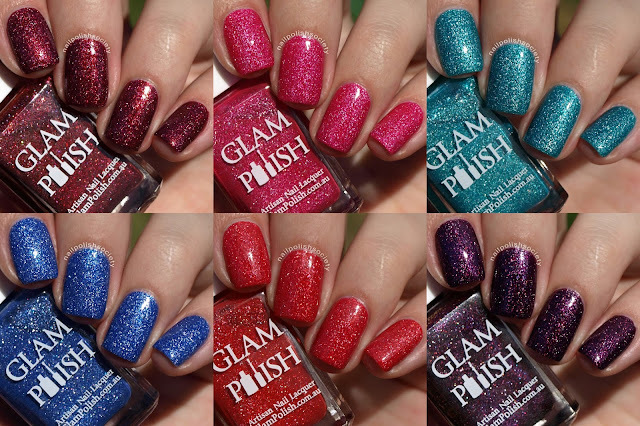 Today I have some stunning polishes to share, Glam Polish's The King Collection Part 2. (You can see some of the polishes from Part 1 here). Four of the previous collection's shades have been revamped, and there are two new ones in this six piece collection. Each of these had flawless formulas and the application was really easy to control. The formulas are richly pigmented and might tend towards staining (I did my swatches quickly so it's hard to say, but it looked as though they were beginning to color my nails). They dry on the dull side so I've topped off my swatches with glossy top coat. Happy Friday ladies! You know what that means.. ABC Challenge day! Today's prompt is the letter "M", we're halfway through the alphabet already! If you still want to join in the fun, there's no time like the present. Read all the info you need right here. Hello friends! Today is another installment of the ABC Challenge and I love what I've come up with! 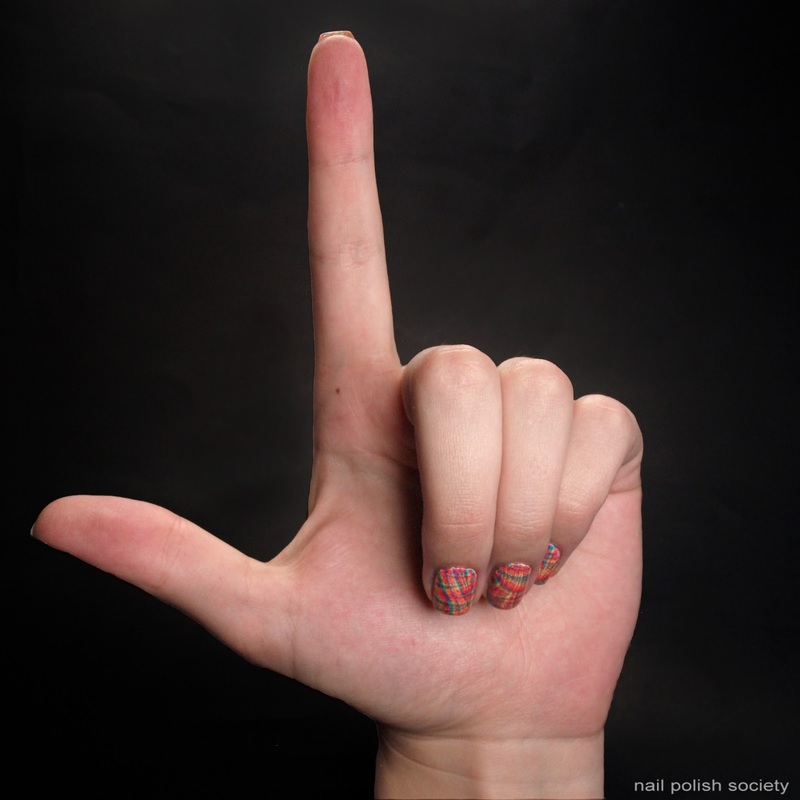 I really had no idea what to do for the letter "L". Well actually I had lots of ideas, but nothing concrete. I was playing around with the Pipe Dream Polish Tie Dye Jellies that I received a couple weeks ago and ended up with this layered water marble look. Ding! A layered design wasn't one of my original ideas, but it fit so well. Hello lovelies! I have been patiently waiting for what feels like so long to share this gorgeous collection with you. 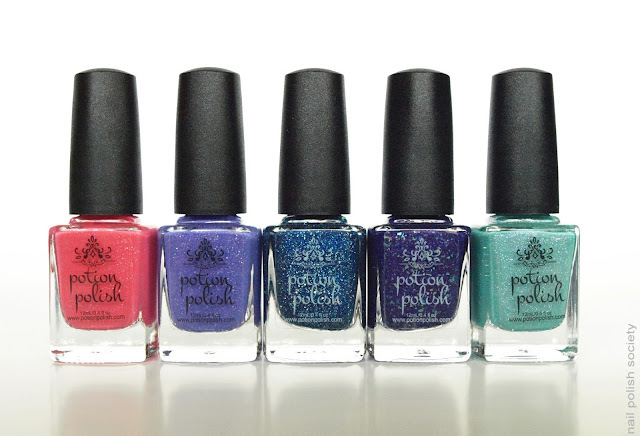 The Potion Polish Summer In New York Collection is a really great mixture of both stunning and really unique shades. I have been eyeing Potion Polish for quite some time and finally made my first purchase recently (these polishes will eventually make an appearance on my blog). When Courtney asked if I would review these polishes I couldn't contain my excitement! Let me tell you, each one is even better than I expected. These polishes have some really special subtleties about them, and some were easier to capture than others. To fully showcase these beauties I have teamed up with three of the most talented ladies I know- Very Emily, KellieGonzo, and Peachy Polish- who are all posting their reviews today too (links at the end of the post). Hello ladies! Today I have a little bit of a different post for you. A couple months back I bought this twelve piece box set of nail and hand care products from Sunny's Body Products. 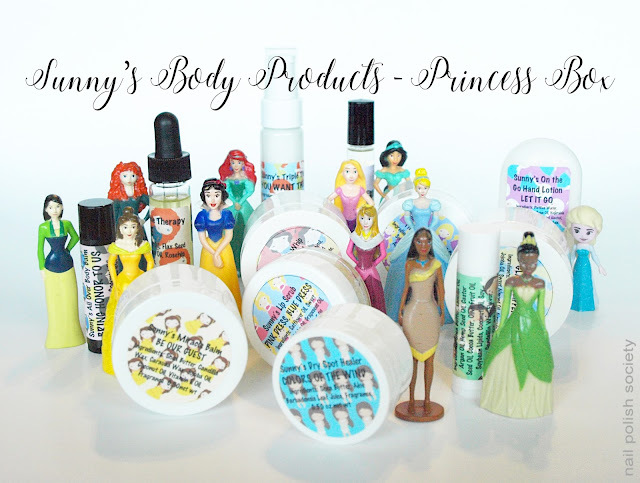 Although this specific princess themed box is no longer available, I still wanted to share with you my favorite products that you can still purchase in a huge variety of different scents. Hello lovelies! 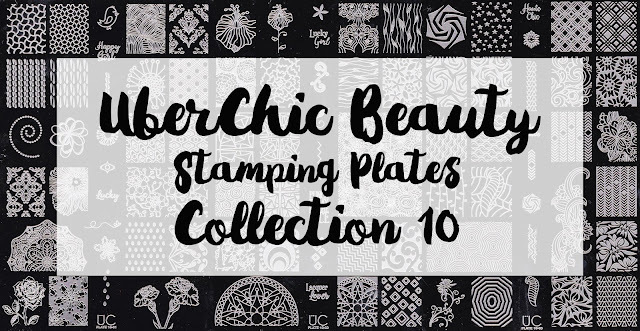 Today I am sharing with you the Collection 10 stamping plates from UberChic Beauty! There are always so many images in these collections, it makes it so hard to choose which ones to showcase. For the most part I did some simpler designs here that any novice should be able to replacate. Though I did throw in a couple more complex ones too. 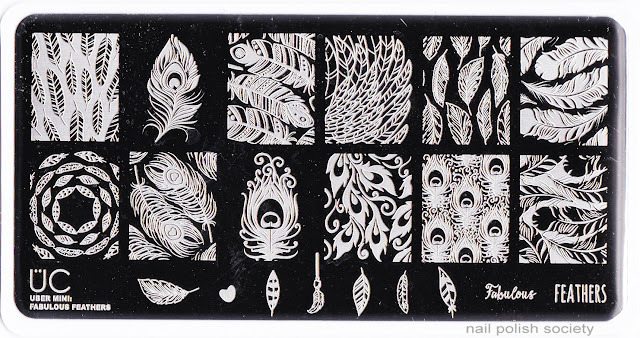 My favorite part about these plates is that some of the designs are repeated, but in different ways. Some designs have both positive and negative images, and some have smaller stand alone images. Let's take a look! I have a quick swatch post for you today! Freya's Cats is one of the very first piCture pOlish shades I ever got. I had planned to do some Fourth of July nail art with it a couple weeks ago. Once I applied it though I didn't want to add a thing, and wore it in all it's glory for the holiday. Oh boy, here I am again so late in the day getting my ABC Challenge post done! Last night I spent a good hour on my original plan and it was a complete bust. By then it was too late to start something else, so here we are. I can't complain because I am just thrilled with how my design came out! This was actually my first idea before the other plan came about, so I think it was meant to be. Hello ladies! Today I have a quick nail art post for you. Last night I finally got around to water marbling with the Colores de Carol Hitchhiking collection. How cool and unique do these colors look together? I love the retro feel. If you want to see swatches of the collection, visit my post here. I also have a giveaway where you can win the whole collection here! Guess what ladies? 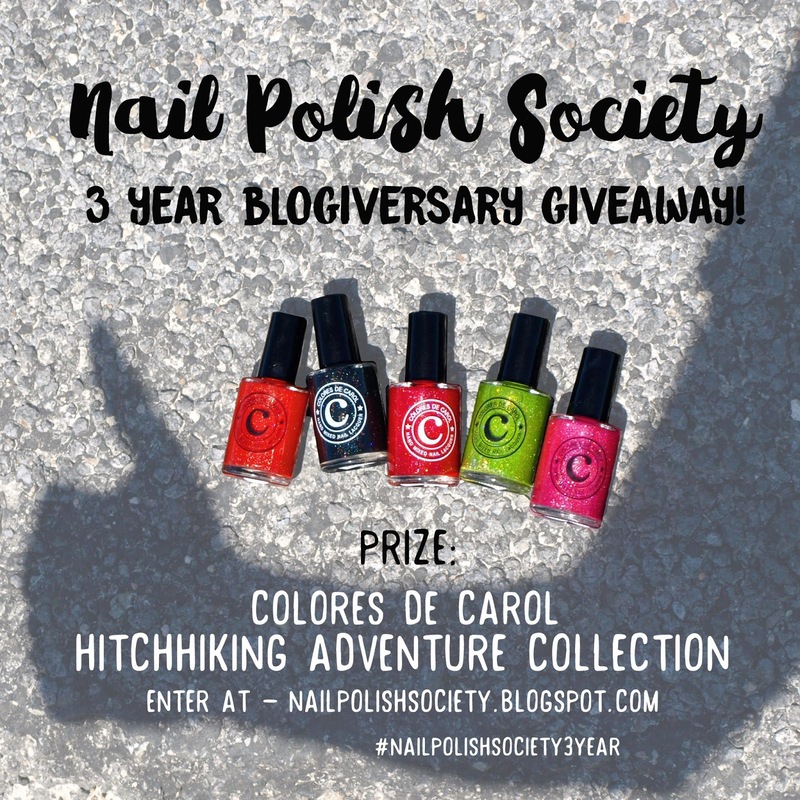 Today is my three year blogiversary! Woot! 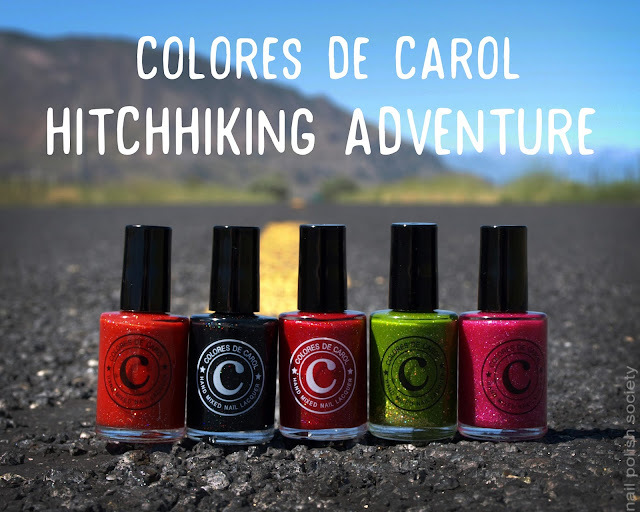 To celebrate I will be having a giveaway starting tomorrow of the new Colores de Carol Hitchhiking Collection. So make sure to come back tomorrow to enter! I'm really excited about this collection because Carolina asked me to help with the theme and names of the individual polishes. I love what we've come up with! Hello lovelies! Today I am sharing with you another UberChic Beauty stamping plate review! You may recognize some of the images on this plate from a couple nail art manis I've recently done here and here. With a specific theme like Feathers, this plate is still very versatile and diverse. Hello lovelies! 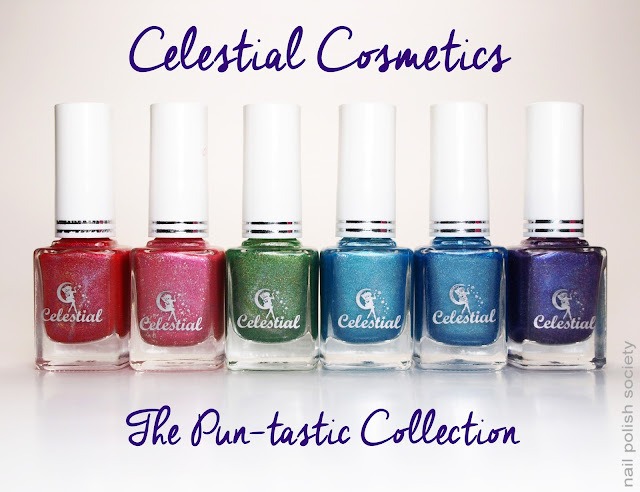 Today I have the bright and colorful Celestial Cosmetics Pun-tastic Collection to share with you! I recently used four of the six polishes in this peacock nail art mani, and they worked so well together. I think you know by now how much I love a good name, especially clever puns. Each name has a animal themed pun, so this collection is right up my alley! I did a guest post for my dear friend Emily, the ever talented blogger at Very Emily. I am so honored to grace her amazing blog! I had a hard time deciding on the right nail art to feature but Emily saved the day (as she often does) by deciding on this mani. Follow this link to go check it out! Happy 4th of July my fellow Americans! And happy Monday to all my other lovely readers! I have a quick and simple nail art post for you today. I'll get right to it. Hello ladies! I have some gorgeous summer Colores de Carol polishes to share with you today! Each one is truly unique from any polish I have in my collection. You know what else I like about these? I helped name four of them! Read on and I'll tell you which ones..
Hello my lovely society sisters! I am so excited for today's ABC Challenge! First off, thank you to those on Instagram who helped me choose my theme! I originally planned on an Independence Day design because the timing was perfect. Then I remembered this ice cream design I've been wanting to do. I kept going back and forth and just couldn't make up my mind on my own. The votes went in favor of ice cream, so there you have it!